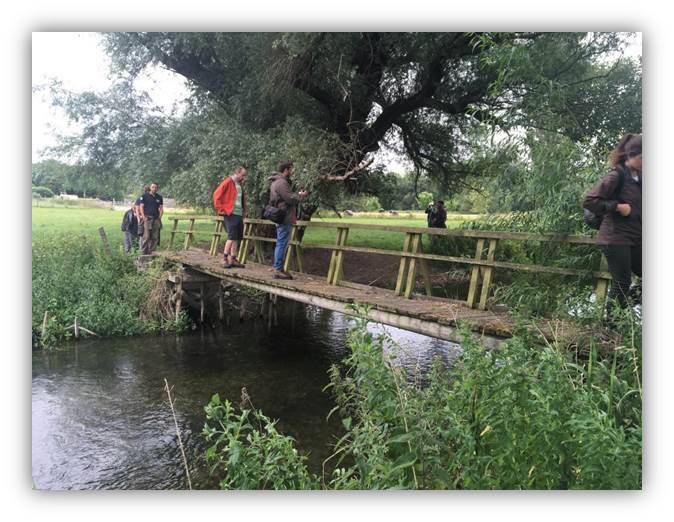 The Member site visit began on the River Wylye at Norton Bavant, Wiltshire, to see a channel realignment scheme. The morning was led by six representatives from partner organisations Environment Agency, Natural England and Wiltshire Wildlife Trust, and was attended by 14 members. To begin the vist, attendees watched a 6 month time lapse video of the restoration scheme which provided a good overview of the site as a whole and the modifications that had taken place. The River Wylye had been diverted here to run the Norton Bavant Mill so it was disconnected from its floodplain and had issues such as deep impounded water upstream, fish passage barrier and a lack of chalk stream characteristics. 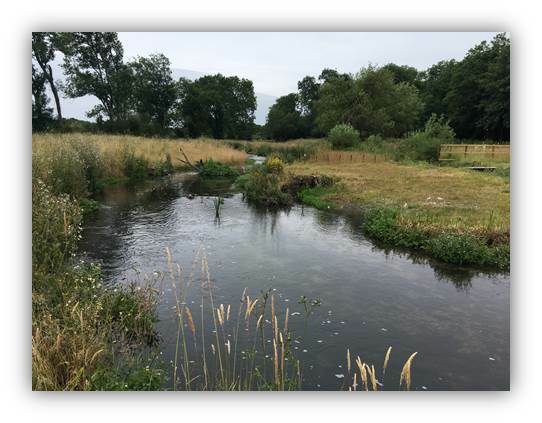 This project removed the channel from its perched position by the mill and realigned it through the adjacent floodplain, with the aim of reinstating floodplain functionality, reducing local flood risk and reintroducing chalk stream features. 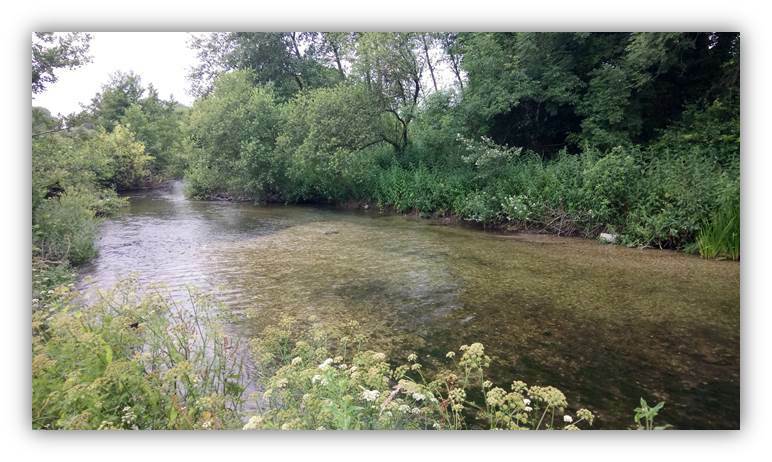 The project was successful due to the opportunity to work with nature and restore the river to its floodplain, participation of all team members throughout (contractors, consultants and client) and the early involvement of landowners. To find out more about this project, see the presentation on the Norton Bavant Mill restoration scheme that was given at this year's RRC Annual NetworkConference. In the afternoon, the group was joined by members of the RRC Board and RRC staff. The now larger group was split into two smaller groups, with Russell Spener from the Environment Agency leading one, and Martijn Antheunisse from Wiltshire Wildlife Trust leading the other. 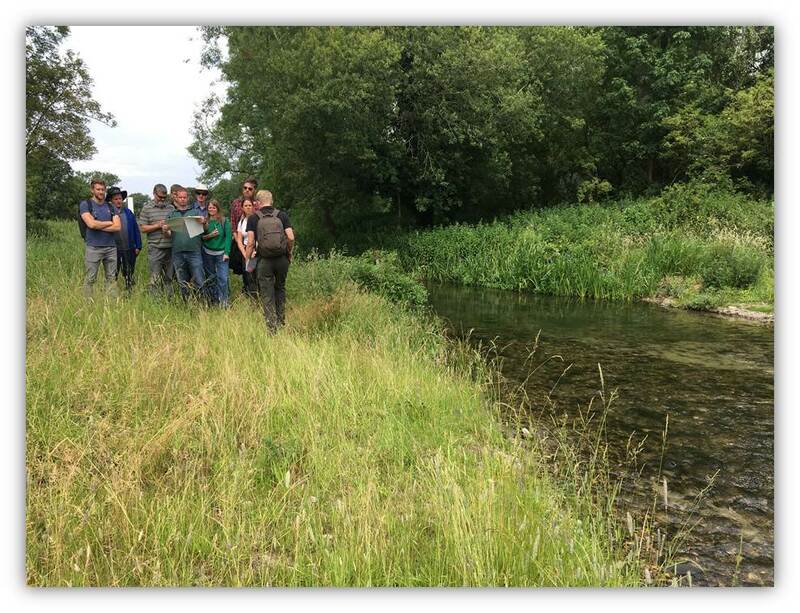 Attendees visited the River Nadder where woody debris has been installed to create flow diversity and improve habitat. The leaders of each group described the work which had taken place on the river, and led a tour of key points including natural and man-made aquatic shelves (ledges) for spawning, and woody debris structures. Groups were also shown the difference between the invasive plant species Himalayan balsam and Orange balsam, which are easily identified by their different leaf structures. Clear waters also made it easy to observe the shallow gravel bed features and widespread Ranunculus. The weather held off for us, and we only had a little drizzle in the afternoon. The visit was interesting and engaging, and we would like to thank the leaders of the visit, as well as all those who came along to see the winning project of the 2017 UK River Prize. For more photos, see our Flickr album here.